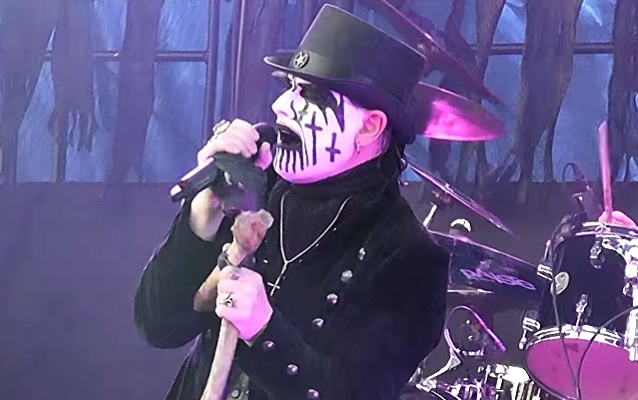 As previously reported, Philadelphia (November 25 at The Fillmore) and Detroit (November 28 at The Fillmore) have been selected as the cities on the "Abigail In Concert 2015" tour at which KING DIAMOND will film the live shows for the band's forthcoming DVD. The massive, multi-camera shoot will be directed by Denise Korycki (CANNIBAL CORPSE, KILLSWITCH ENGAGE), and will also include additional footage from multiple shows throughout the trek. KING DIAMOND is performing its classic second album, 1987's concept effort "Abigail", in its entirety on the band's current U.S. tour. Support on the trek, which began on October 29 and will run through December 5, is coming from legendary San Francisco Bay Area thrash metallers EXODUS.